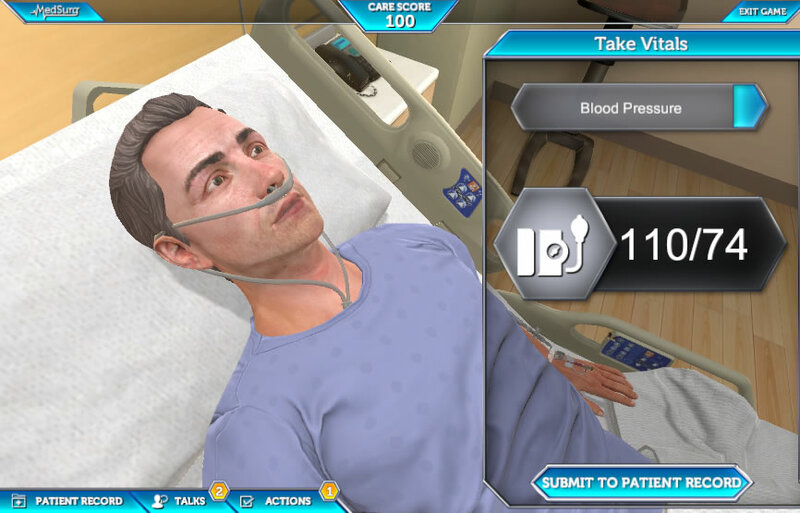 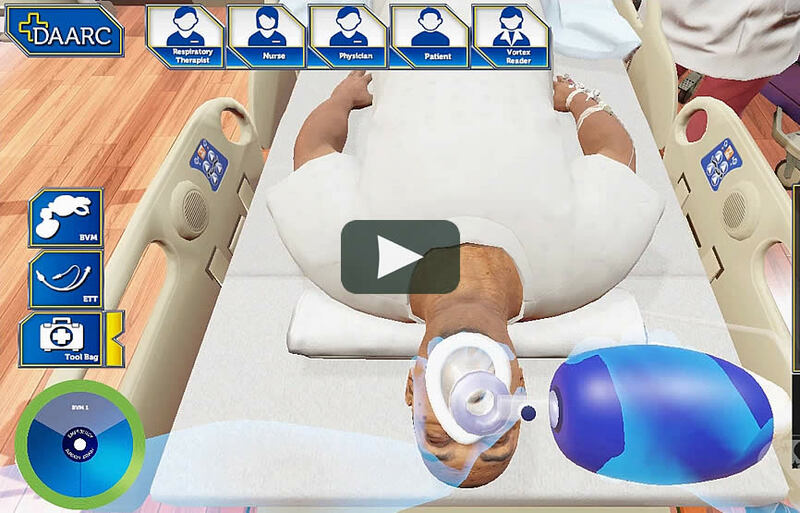 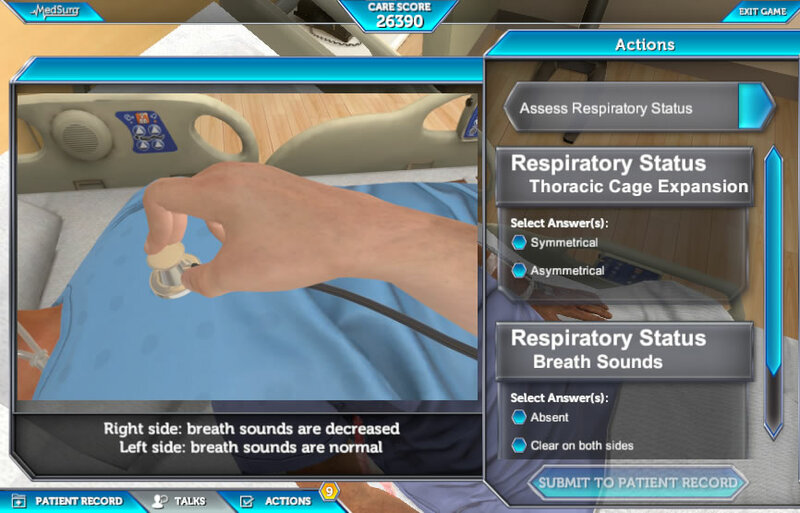 In this game, you will assess and care for patients over the course of a simulated 12-hour shift. 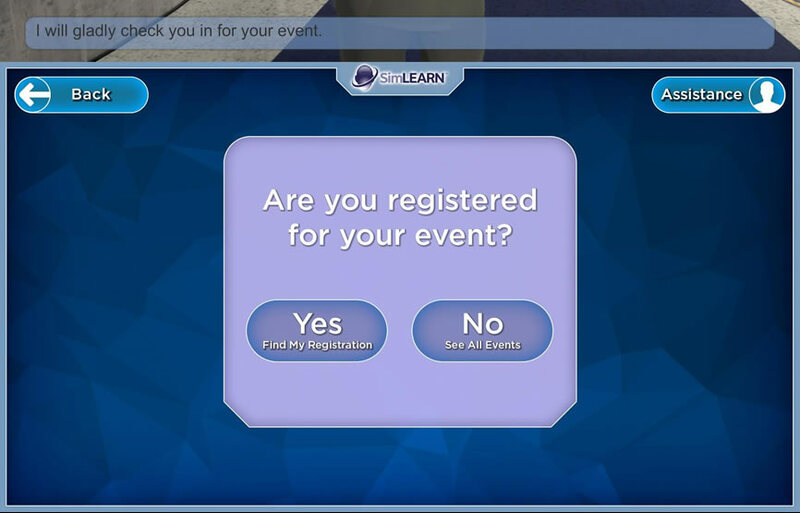 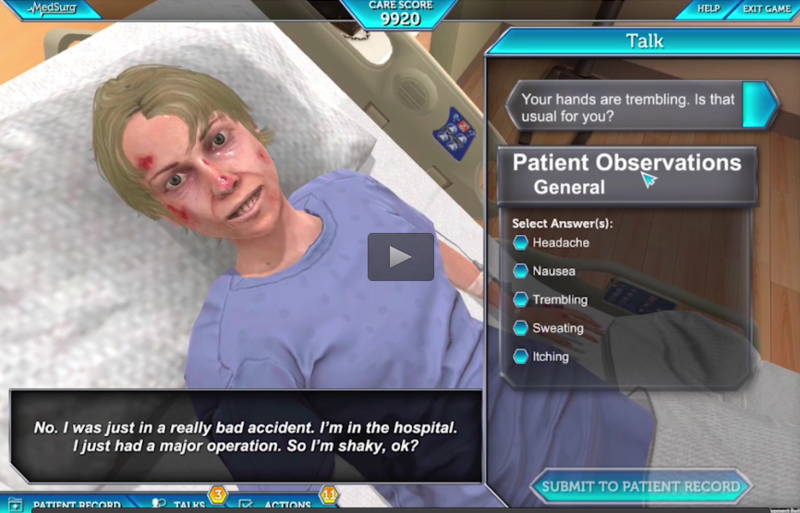 The MedSurg game helps Medical Surgical Nurses quickly identify conditions of a MedSurg patient, which might deteriorate into a code. 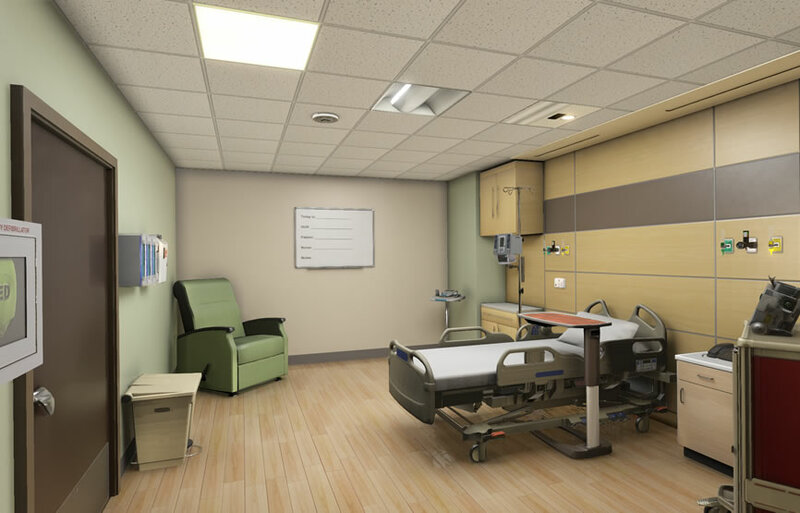 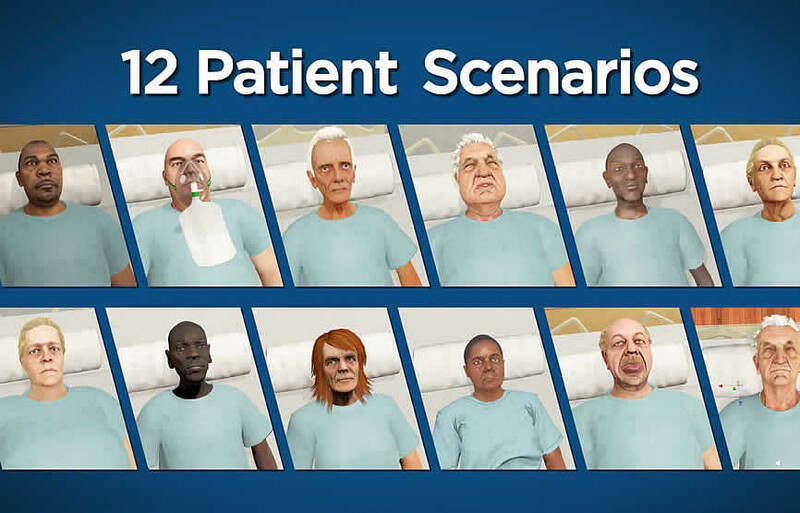 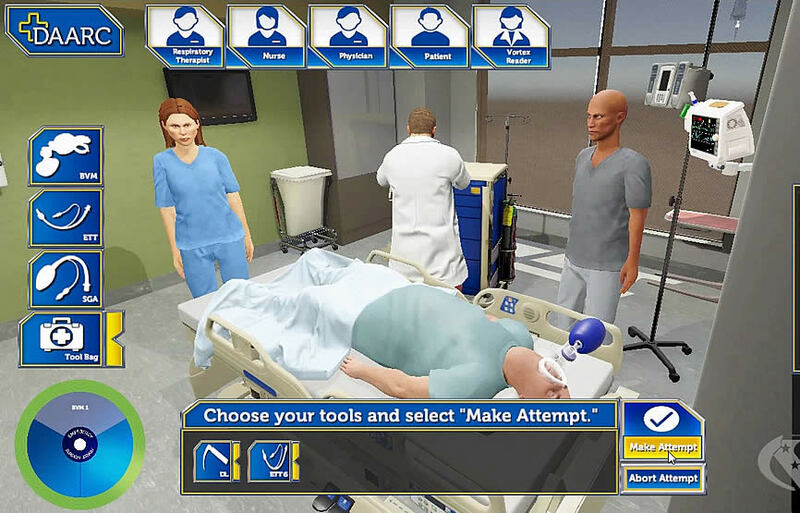 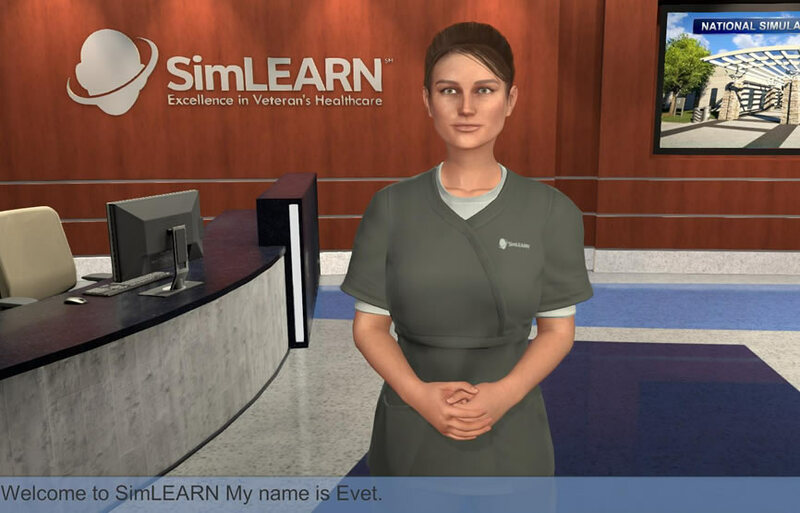 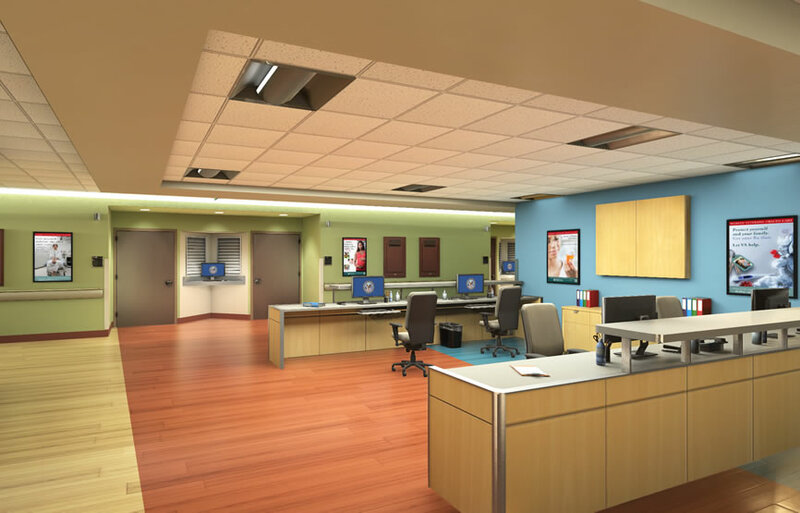 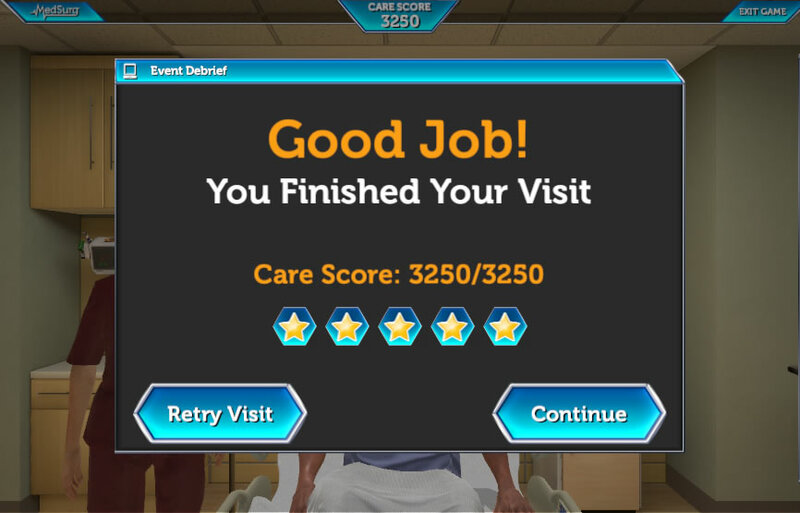 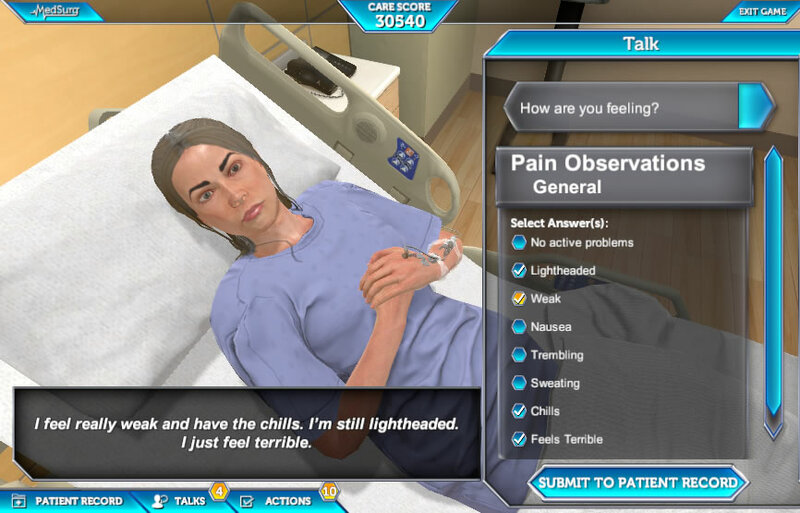 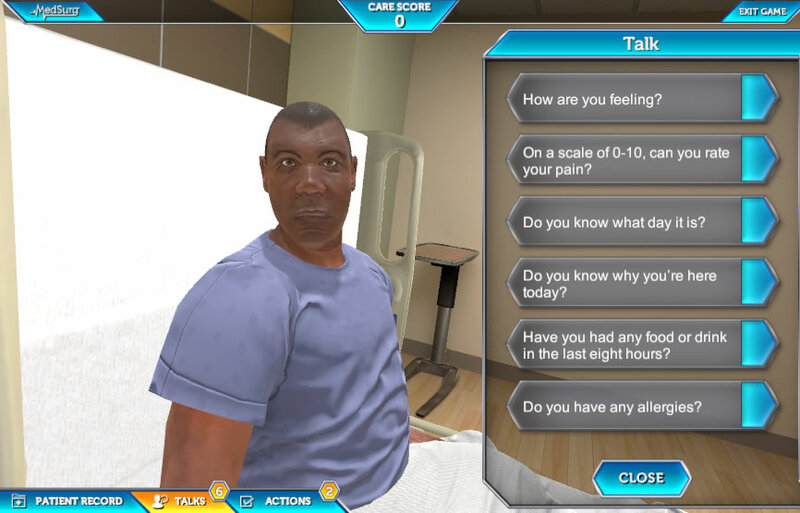 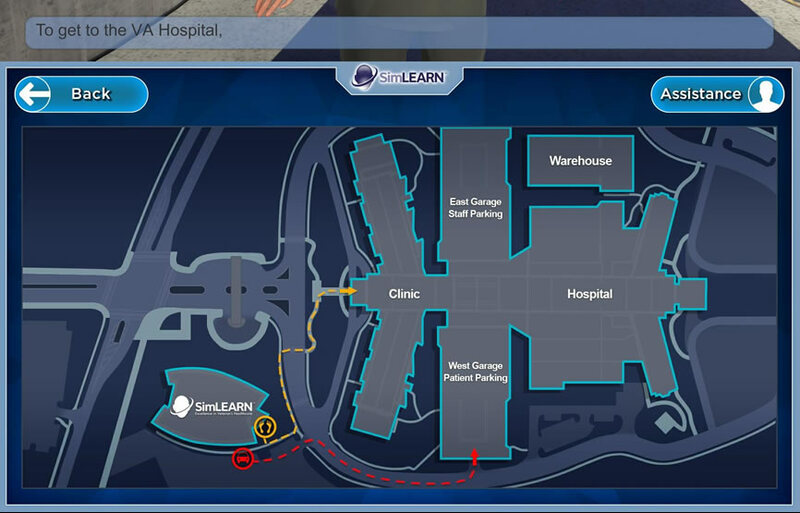 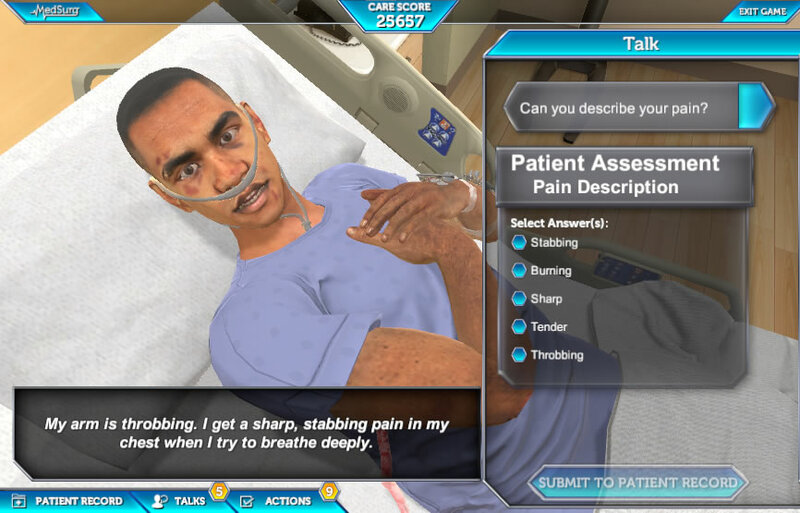 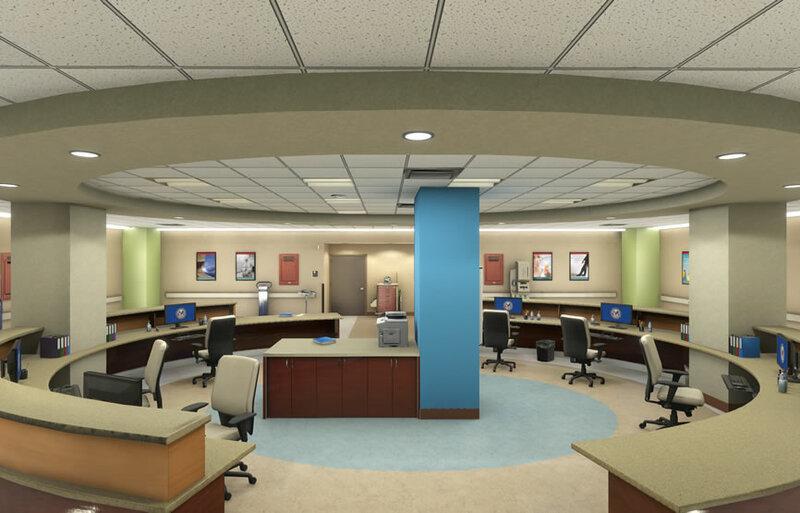 The scenarios in this game were developed based on authentic conditions, procedures and decisions of practicing Medical Surgical Nurse Subject Matter Experts across VHA (Veterans Health Administration). 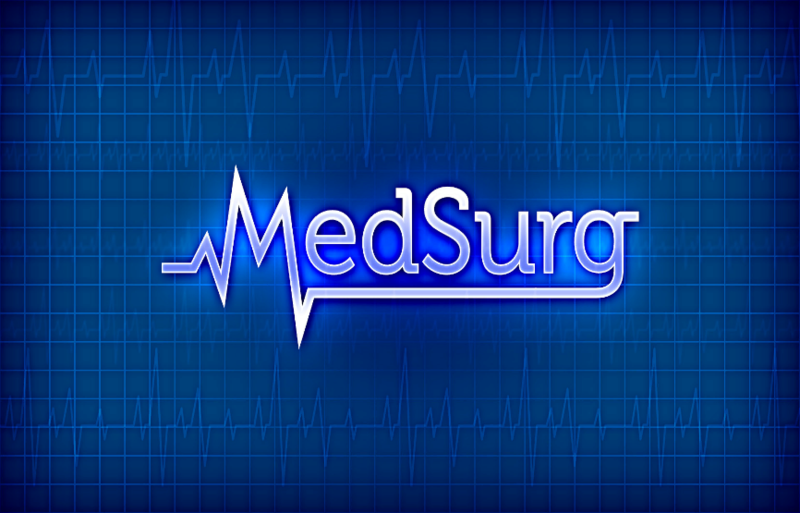 Enter your email address and we'll send you more detailed information about MEDSURG.